I know a lot of you are not into “trends” per se, and at this time of year, magazine racks are filled with issues discussing design directions for the new year in detail. I am not into trends either as I much prefer to design homes that are filled with timeless pieces that you can keep for a long while! A theme I am referring to is longer lasting than a trend, and generally influences design for about 5-10 years max; a trend usually lasts more like 2-3 years. There are definite directions or themes that interior design takes that are somewhat influenced by the style makers of the world–like Joanna Gaines and the whole Farmhouse theme, or Martha Stewart and her effect on the world of food and all things home–but also the shifts that society takes in general. I find that so much changes in the span of 10 years that the 25+ years that people used to get out of their furniture (I am thinking of my parent’s generation) is a thing of the past. 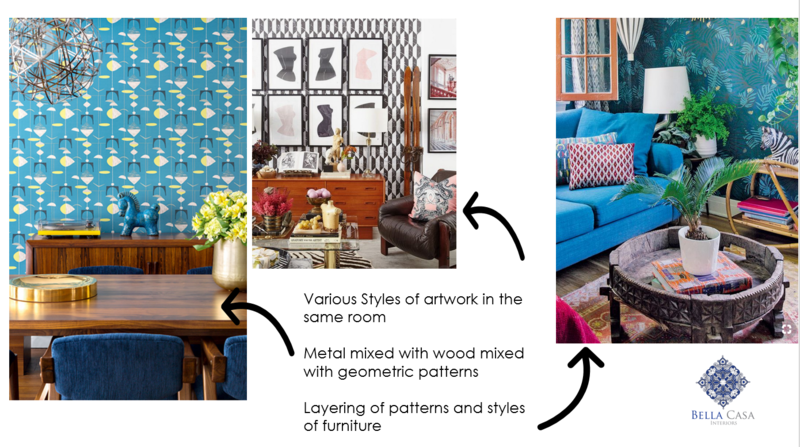 A couple of months ago, I was at a seminar at my local design center and one of the speakers was from Kravet–a huge fabric supplier both here in Canada and in the States. The main thing she spoke about was trends, how they are established, and how that translates into the fabric collections they put out year after year. It was fascinating! In that discussion she outlined what this next season of design directions will be; some you are already seeing in the world of design and some things are slowly making their way into magazines and eventually into our homes. 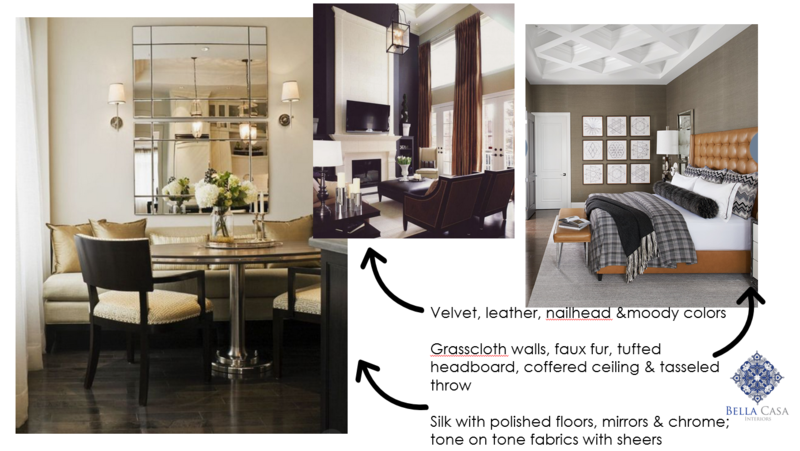 Here are the three main interior design directions for 2019 and beyond! This design direction is all about making our home an oasis where you can rejuvenate. It has modern styling and is often seen in an urban setting. Oasis incorporates natural elements to bring the outdoors in which can include larger windows, lots of greenery, live edge tables, linen drapery, rattan, leather, etc. It’s clean, but not industrial. It’s modern but still has warmth. There are simplye lines in the furniture used–think Scandinavian inspired–and surfaces and walls have minimal adornment. Mid Century Modern can be interpreted in this style, as pieces from that era aren’t fussy and the style overall is clean lined. 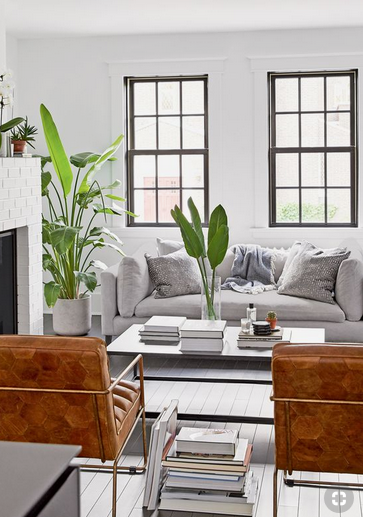 A mindful interior is a very layered space; it is filled with lots of textures, can be very tone on tone and neutral–something Canadians are very good at…we love our gray tones! Feelings of comfort, happiness & peace are words that this design direction seeks to invoke. Chunky large-knit throws, reclaimed wood, mohair cushions or chairs…anything that makes you want to sink in and stay for a while–a long while! This layered look can be in paler tones or deeper hues, but either way it is very sensual. This style is seen mostly in bedrooms and living spaces rather than in kitchens or bathrooms, per se, and has a feeling of luxury associated with it. Thankfully, many of these touchy-feely pieces are available at every price point! 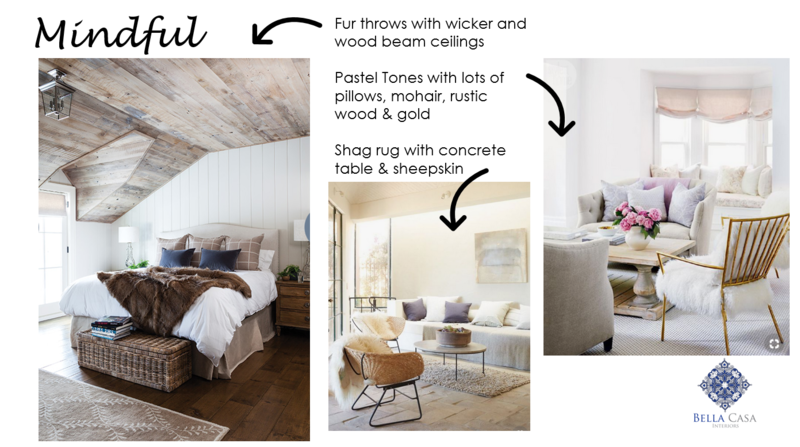 Add texture through the use of wool or high-pile area rugs, fur or sheepskin, velvet cushions, crocheted or embroidered items, pom-pom trim or super chunky knit throws, etc. Now…here is where we as Canadians need to stretch ourselves a bit! This design direction represents someone who is well-traveled, confident, and embraces vibrant pattern. 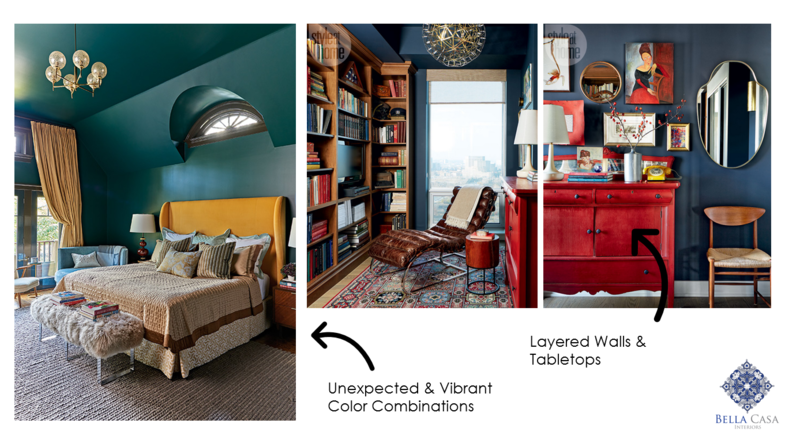 Jewel toned walls, exotic accessories, lots of pattern in cushions, drapery & upholstered pieces…this colorful interior is very personal and artistic. 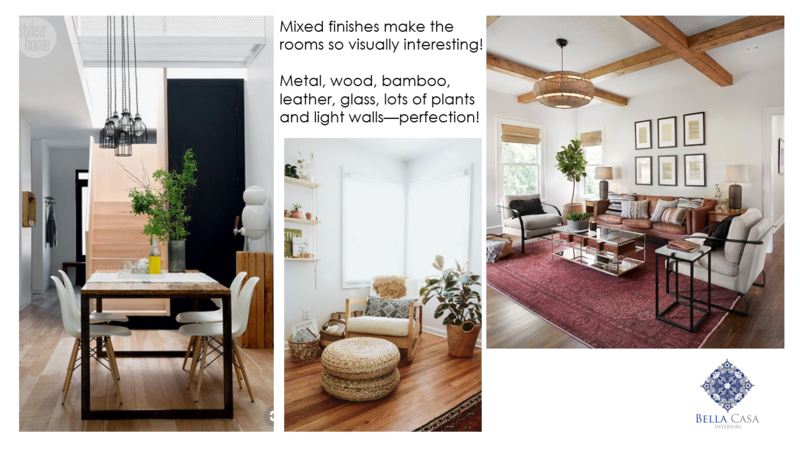 We have seen this somewhat in the Boho type style, but it can also be translated into a home that is full of classic pieces and a way to update a home on the more traditional side of the fence. It leans towards maximalism but it doesn’t have to be overdone. I have seen it interpreted in Mid Century Modern homes and Turn of the Century residences. This design direction puts more of “you” out there for people to see, so it is very personal and unique–hence the name! Include lots of patterns with cushions, rugs, drapery, etc. Mixing styles, eras, finishes, etc. in accessories & lighting really adds high levels of individuality to rooms in this style. 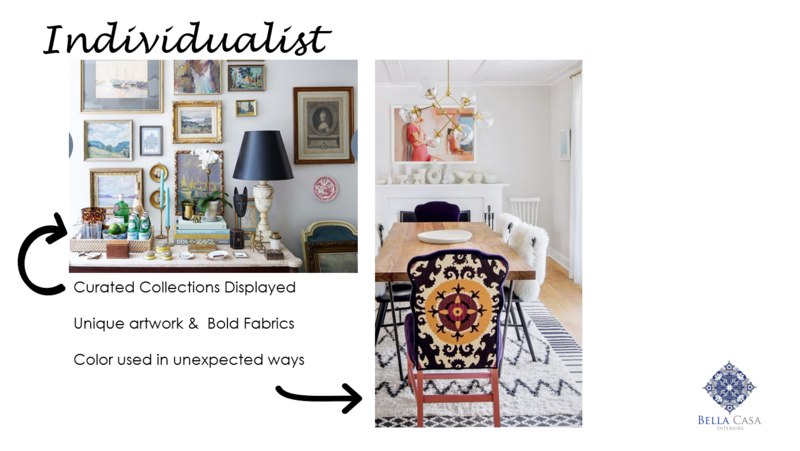 I’ll admit…this style resonates with me the most–no surprise there! Sorry…I just can’t live in a house full of gray. That being said, you will see elements of these styles mixed together and there is NOTHING wrong with that! 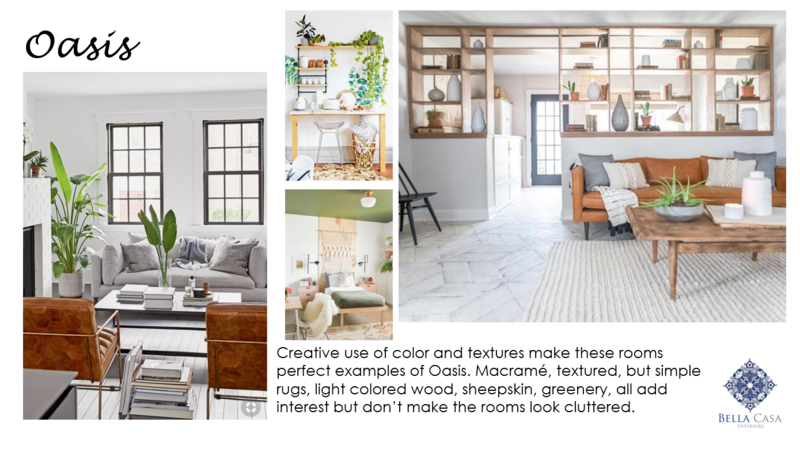 These design directions are just a general guide to what you will be seeing in products on store shelves, images online or in magazines, and maybe what will influence your next purchase for your home! 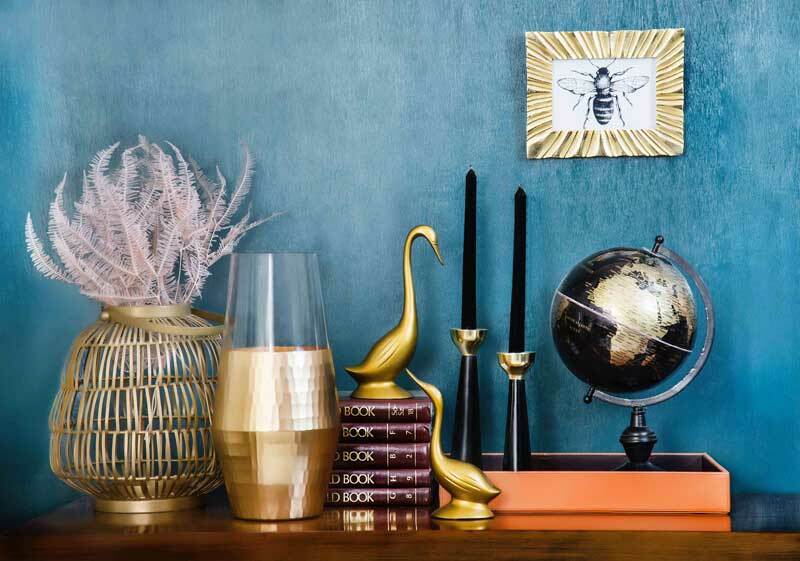 So…after seeing these design influences in the world of interiors, if you had the opportunity to redecorate your home with one of these decorating directions, which would you choose? I’d love to hear which one “speaks” to you the most so feel free to add your thoughts and comments!